The SEO industry has been watching unconfirmed Google ranking update that majorly target link quality aspects of overall algorithm. Unlike Penguin, Panda or hummingbird, the Fred update left SEO world with several assumptions that is leading to the algorithm fluctuation. This new algorithm was named as “Fred” unofficially and jokingly. Initially some people argued that it is all about backlink quality while to many others, it was the heavy websites and thin content that was getting hardest hit. This update caused quite a stir with webmasters and many sites witnessed dropped rankings. What is that one thing these websites have in common? Low quality link profile. Whom does this new “Fred” algorithm affects? Fred seems to measure website on the basis of the other website that are pointing back to it. A strong link profile that has backlinks from high domain authority sites are the one that won’t be affected much by the update. Getting wide swath of backlinks from some spammy websites will take a serious hit with new algorithm. Inbound links coming from spam sites on your website could be penalized. It penalizes low quality, content sites that focus on generating AdSense ad revenue that doesn’t offer any value to the readers. Fred doesn’t seem to affect local businesses, yet link related algorithm update can impact local businesses that have received inbound links from any spam sites. There are chances that even if Fred doesn’t affect local ranking still there can be changes in your organic ranking. Is your website hit by the new Fred update? There can be chances that your keywords have dropped ranking if your website has a spammy link profile. When you track your keyword performance, you can check if your website has experienced fluctuations or not. To see your organic traffic performance, you need to check your Google Analytics. How to Avoid Link related Penalty? You need to contact webmaster and leverage Google’s disavow tool to convey Google that you don’t want spam website to become a part. Google’s disavow tool is an expert level process and should be used with caution. Why your site is getting affected? You need to build quality backlinks to your website. Even if you get lots of backlinks, you need to figure out links that are of high quality and genuine. Many sites get better rankings by following website Wide do-follow links. One has to be careful while selecting these links. These types of profile drops anytime and take you along with them. A high quality relevant link gets you good rankings while low quality irrelevant link puts the website ranking down. Indeed Moz Domain authority is a better way to check relevancy of link but one should not completely depend on it. Even if you are getting a chance to claim particular links, that doesn’t mean you should go after the link. One simple reason is that such links are chased by a lot of websites and have significantly less value. Try to create anchor text that has intelligent business keywords, naked URLs, generic words and brand name to its credit. Automated bots or tools that create backlinks were not highly recommended even before Fred update. Such links gives the impression of a website that is trying to fix things up. 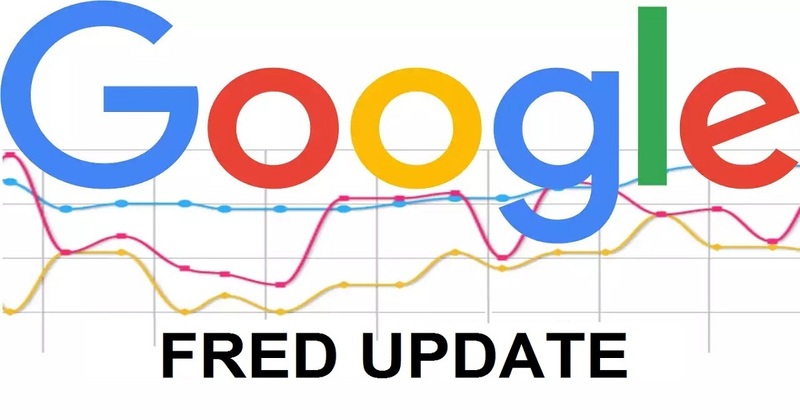 According to the reports, Fred update is targeting bad link building. But chances are that it might affect Ads, content quality and w￼hat not. It will be better for website to become more qualitative than before. Contact us for more details and get your website back to the place where they belong.